Saffron Walden Saxons prepare for the Cup Final on the 27th April with a fine victory. 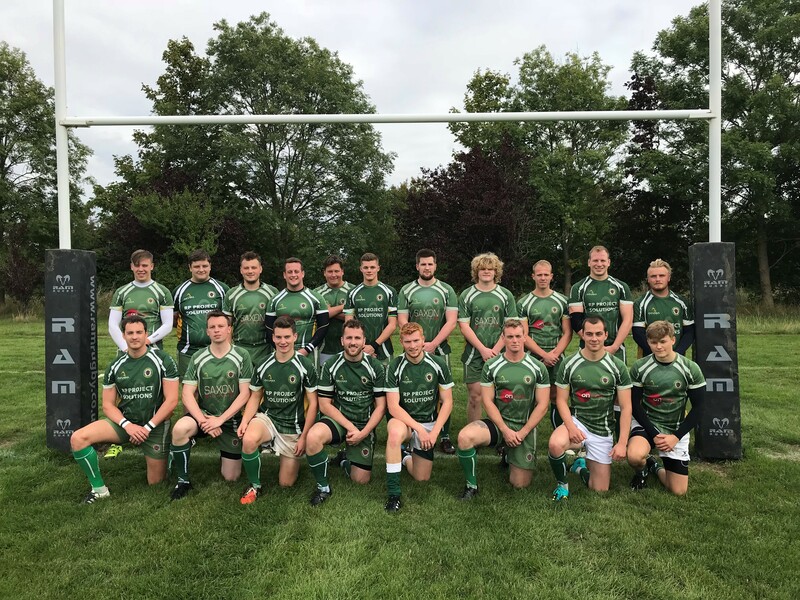 Back up to full strength with many players coming back from injury, work commitments and study, Saffron Walden 2's finished the season like they started with a fine win. With the breeze in their favour in the first half, Walden started strongly and after only 5 mins James Bovaird bulldozed over the line to open the score and 10 mins later centre Oscar Norman also back from Uni for the Easter break used his pace to out strip the covering defence to put Walden 14 points up. Now with the elements in their favour and Walden falling off a couple of tackles Sudbury came back into the game with 3 tries in the third quarter of the game to narrow the gap to 35 -24. But Walden dug deep and started controlling the game with some great kicks from No10 captain Conor McCabe as he found space behind the Sudbury defence. They sealed it with a second try by Norman in the corner and then full back Alex Howlett came on to the ball at pace to score in the last couple of minutes of the game to leave the final score 47 – 24. Cambridgeshire Finals day on Saturday 27th April at Saffron Walden's Henham ground. It promises to be a fine afternoon of competitive Rugby with 5 matches starting at 12 noon with the CountyJunior Cup and Plate Finals. Cambridgeshire Intermediate Cup and Plate Finals start at 2pm including Saffron Walden Saxons v Cambridge 3's in the Cup. Culminating at 4pm when Saffron Walden 1's take on Wisbech 1's in the Final of the Cambridgeshire Senior Cup. Car Parking and Entry is Free so please come along to Henham to support Cambridgeshire Rugby and cheer on the 2 teams from Saffron Walden as they try to pick up some end of season silverware.